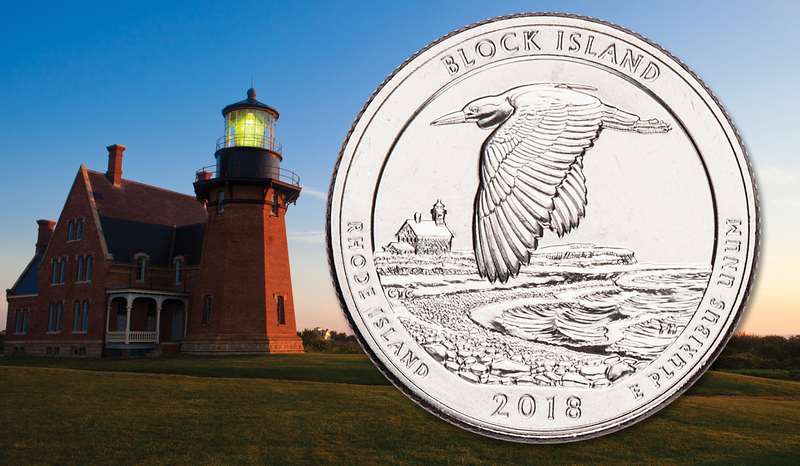 The new Block Island National Wildlife Refuge quarter, 45th issue of the National Park quarter series and 5th and final design for 2018, is now in circulation. The U.S. Mint’s official launch ceremony took place in the Block Island National Wildlife Refuge Visitor Center in Charlestown, Rhode Island on Thursday, November 15. After the ceremony, attendees were able to get $10 rolls of the new 2018 Block Island quarters at face value. The special reverse design of the new quarters depicts a black-crowned night-heron flying above the beach at Cow Cove with a view toward Sandy Point and the North Light lighthouse. 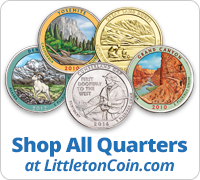 Add the new Block Island quarters to your collection now. This entry was posted on November 9, 2018 and filed under 2018, 2018 National Park Quarters, Block Island National Wildlife Refuge, Rhode Island, with these tags: 2018, Block Island National Wildlife Refuge, Rhode Island.